Cool off this summer with peanut butter ice pops. Caroline’s four easy recipes can be made in 5 minutes or less. This one blends together strawberries, yogurt, honey, and Smooth Operator peanut butter! 1. Combine peanut butter, 1 cup strawberries, honey and yogurt in a blender and blend to combine. 2. Divide remaining strawberries among 4, ½ cup-capacity pop molds. Freeze until firm, at least 3 hours. Store up to 2 weeks in freezer. 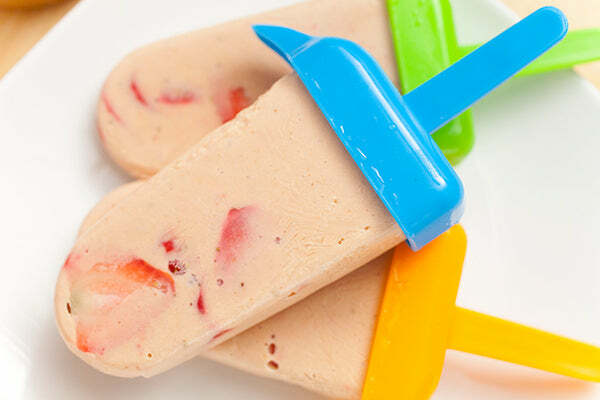 The post VIDEO RECIPE: Peanut Butter Strawberry Ice Pops appeared first on - Peanut Butter & Co. Recipe Blog.